Airsoft guns look like they’re real, yes. But civilians are not allowed to carry guns on the street right? Only the police authorities or military officers are if there is a special need for a robbery, a terrorist act or a general public disturbance. Airsoft guns are only used in airsoft arenas. So, why are airsoft guns required to have orange tips when the law does not allow you to carry them in public? Well, the short answer here is simply because these toy guns really look like they’re the real thing. Therefore, the orange tip is there to distinguish them from the real ones. But although that’s the primary reason, there are other things that induced airsoft gun makers to place orange plugs on the tips of the airsoft guns that they are building. 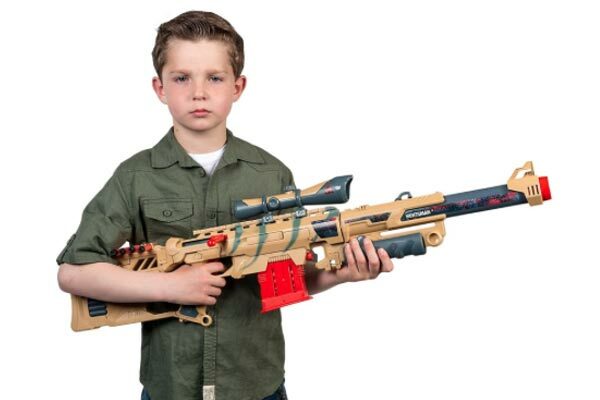 If you are an aficionado of these toy guns, you need to know these other reasons. Knowing them might save you some troubles. In the United States where the use of airsoft guns is allowed, orange tips are required by law. This is the reason why all airsoft guns sold at retail shops have orange tips on the end of their barrels. The law even requires the orange tips to be 6 mm in length and in ‘blaze’ solid shade. Many airsoft guns sold in the market have orange plugs that are permanently affixed to their barrels. The reason for this is safety. For some reason, the government thinks that with an orange tip, a very real looking toy gun will somehow be automatically identified as just a toy. If you are transporting your airsoft gun, you must see to it that its orange tip is secured on its barrel. Some even give the advice that you should have its original case or box with you while you are traveling, along with its barrel sheath or condom and a barrel plug. They say that you also need to have all the magazines of BBs of the airsoft guns out of the toy gun and stored in a different container. Do not brandish the airsoft gun in public while traveling or it may be confiscated by the authorities. It looks like real and the public may get confused. Don’t leave the toy gun in your car exposed to the public. When traveling, ensure that the airsoft gun is always on the “Safety on” status. If in case you are pulled over by a police officer, tell him that you are transporting a replica gun in your car. The jobs of police and military officers are already stressful and strenuous. If you will add more stress to their already tensed nerves by brandishing your toy gun that looks like real, you cannot blame them if they will treat you like a criminal. Therefore, the law requires airsoft guns and other replica guns to have orange tips for easy identification. When police and military officers see the orange tip on the barrel of the gun, they will immediately realize that it is just a fake gun. In this regard, you shouldn’t display your airsoft gun in public. Most people don’t know the meaning of orange tips on gun barrels. Only the authorities know that. So, if people see you carrying your toy gun on the street, they might call the police and you’ll be in trouble. And never point your airsoft gun at a cop. Orange tip or not, he will treat it as a real gun and you may not like the consequences. 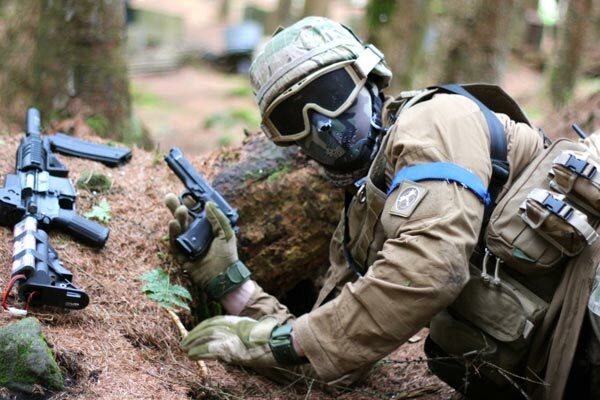 Airsoft guns are only played in arenas and fields. They are toys, right, but they are not your ordinary house toys. You should be mindful that sending back your airsoft gun to the store without the orange tip on its barrel is against the law. There is also a Federal law prohibiting you from receiving airsoft guns without the required orange tips. In other words, you need to be careful when you buy airsoft guns. It is perfectly legal for you to buy one. But you just have to ensure that it has the proper markings – the required orange tip. If you need to return it to the seller for some reason, don’t remove its orange tip. 5. Is It Illegal To Remove Orange Tips From Airsoft Guns? The simple answer to this question is no. But a lot of airsoft gun sellers are confused about this issue. They assume that since the law requires airsoft guns to have orange tips that those who buy them are not allowed to remove them. Yes, orange tips are required for selling and transporting airsoft guns. But once they are purchased and paid for by the buyer, he has all the right to do with it as he wishes. That means, once an airsoft gun is sold, orange tips are no longer relevant. In other words, there is no law requiring you not to remove the orange tip. However, since you will be committing a federal offense if you transport an airsoft gun without its orange tip, you better be sure that it is there plugged in the barrel of the toy gun. Be also mindful that airsoft guns look like they’re the real thing. They can be used outside of airsoft playing fields. These life-like guns are also used in shooting movies since they are safer and cheaper than the real ones. Perhaps some of the movies that you have seen have used them as props. And they can also be used by criminals. Airsoft guns look so life-like that they can instill fear in the hearts of those who don’t know. Perhaps this is also one of the reasons why lawmakers have crafted legislation that regulates and control their commerce and their use. If you want to play with airsoft guns, you need to be mindful of these laws for your own safety. 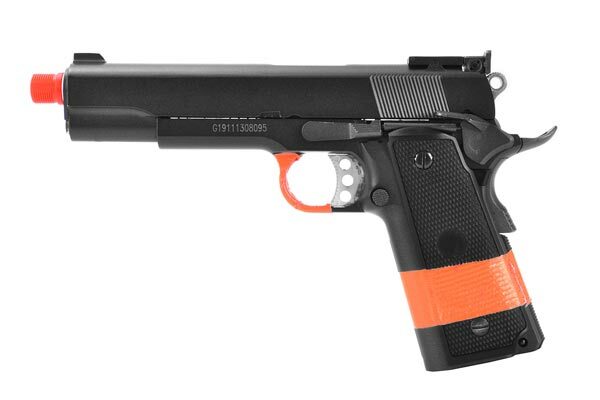 Here is a video that will show you how important it is to have the orange tip affixed to your airsoft gun.